October is National Depression Awareness month. 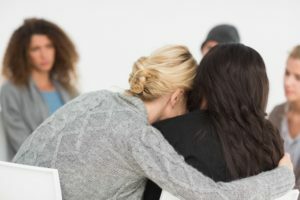 It is a time for all of us to pause and reflect on the fact that millions of Americans are suffering from depression and too many are unsure how to get help. According to the Anxiety and Depression Association of America (ADAA), more than 16.1 million Americans, 6.7 percent, are suffering from major depressive disorder (MDD), a mental health condition in which individuals experience a persistently depressed mood or loss of interest in activities that impairs their daily life. Also, 1.5 percent of Americans are suffering from persistent depressive disorder (PDD), a mental health condition marked by depression and sadness that typically lasts for at least two years. Having little interest in participating in work, school, or hobbies. Feeling hopeless and as though you have nothing in your life to motivate you. Either not being able to sleep enough, or sleeping all the time. Loss of appetite or extreme overeating. Feeling exhausted or as though you have little to no energy. Feeling that you are a failure. Have a difficult time making decisions. Feeling easily agitated or annoyed. Feeling that your future is hopeless. An awareness that you are accomplishing tasks very slowly. Feeling unable to concentrate on work, activities, or hobbies, including reading or watching television. If you answered yes to more than half of these questions, talk to your doctor or to a mental health professional about obtaining a mental health screening. For a more in-depth self-assessment, consider taking this online depression test from Mental Health America (MHA). Remember that no matter what the cause of your feelings of depression, there are people in your life who care about you and want you to get help and get well. Resources are available to help you resolve the issues or health conditions in your life that are causing your feelings of sadness and despair. There is always hope for those willing to seek help.